Search engine optimization, commonly referred to as SEO, is much more than a buzzword in the technology community. It’s the act of optimizing websites so that search engines are more likely to rank them higher. While this may sound like some sort of mysterious magic, we promise you it’s not. There are many ways businesses and individuals use servers. In most of these cases, this involves storing a tremendous amount of data – some of which is probably not intended for public knowledge. 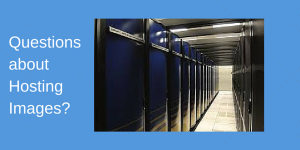 Many servers also power business websites, email platforms and even applications. Regardless of how a server is being used, unauthorized access to that server is no laughing matter. That’s why we’ve put together this list of 10 ways to help keep your server safe. Everyone knows the old cliché, “a picture is worth a thousand words.” For centuries, people have used illustrations to tell stories visually. In more recent history, cameras have enabled us to capture still images in photographs. Now, images are having a tremendous impact on the web as well. Images are used to gain readers’ attention, to help narrate a story, to reinforce a point and to provide additional information. They create strong impressions and can be used to supplement content at any level. They can even be added to emails to improve engagement.